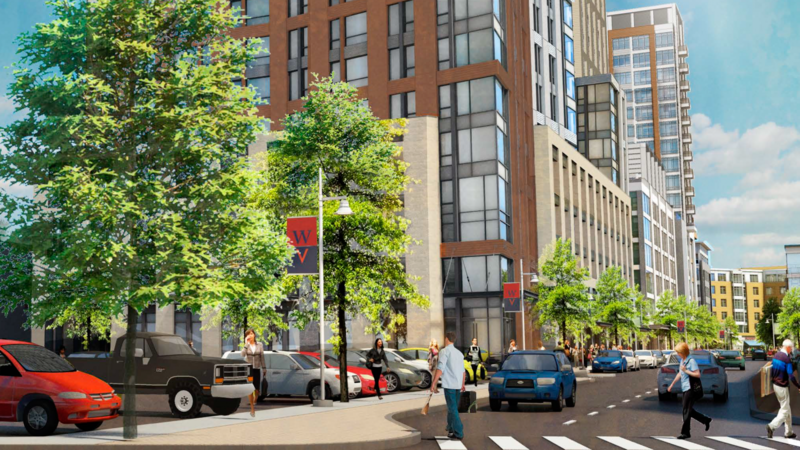 The developers proposing a massive mixed-use residential village in South Boston have filed additional documentation with the city, and included in the document is a first look at the project’s vision and design. Boston-based developer DJ Properties LLC, led by David Pogorelc, Jan Steenbrugge and Tim Mackie, has proposed an 894,600-square-foot mixed-use project called Washington Village. The project’s architect is Cambridge-based Prellwitz Chilinski Associates and Halvorson Design Partnership Inc. is the landscape architect. The 4.89-acre project site is bounded by Damrell Street, Old Colony Avenue and Dorchester Street. It would include 656 residential units, 98,600 square feet of retail space, 440 below-ground garage parking spaces and 120 surface parking spaces, 42,500 square feet of open space and new streets, pedestrian paths, plazas and landscaped open spaces. Retail is expected to include grocery store, neighborhood convenience retail such as a pharmacy, full-service restaurant and cafe uses with outdoor seating.